Greenshot provides a really convenient and effective way to capture screenshots in addition to editing them. It has four main hotkey combinations for the different ways of recording the image you wish to capture. 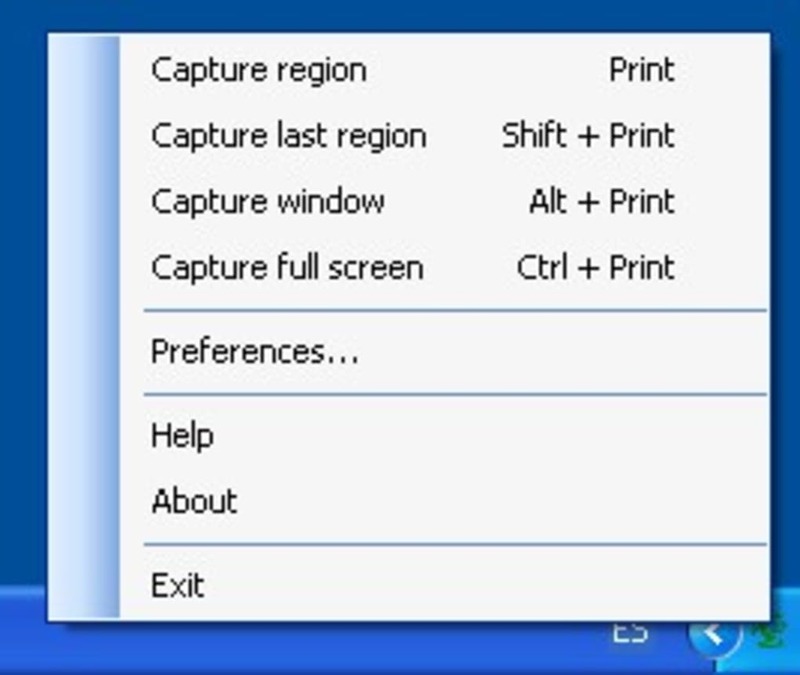 These are: "Impr" to capture and share, "Shift + Impr" to select the region, "Alt + Print" for recording the active window and "Control + Impr" to capture the full screen. 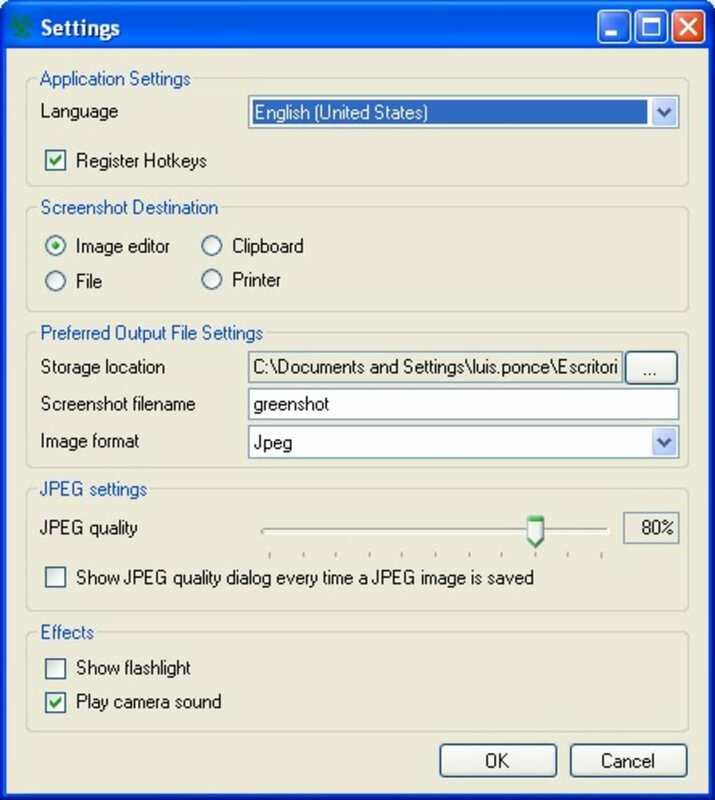 Presumably, the program is called Greenshot because the selected area turns green once selected. In addition, you hear a camera shutter noise when an image has been taken. Once you've taken a shot, you can add arrows, signs, boxes, etc. It can also be preset to automatically save captures in a certain format i.e. JPEG, BMP, GIF and PNG. In addition, you can configure the program to save directly to the clipboard or send captures to the printer. This is a nice little capture program that does it's job well although the green effects are not really necessary. 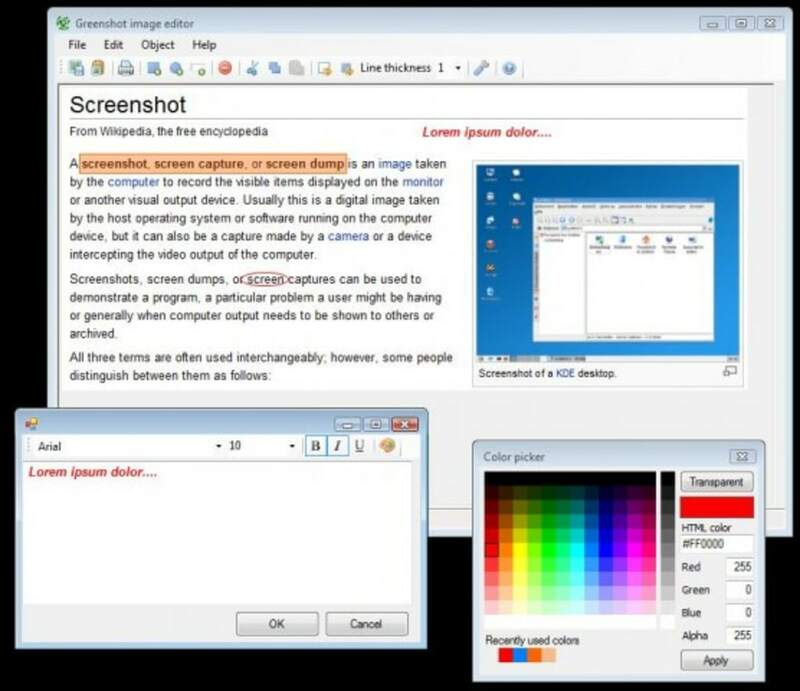 Greenshot is a revolutionary screenshot tool optimized for productivity. 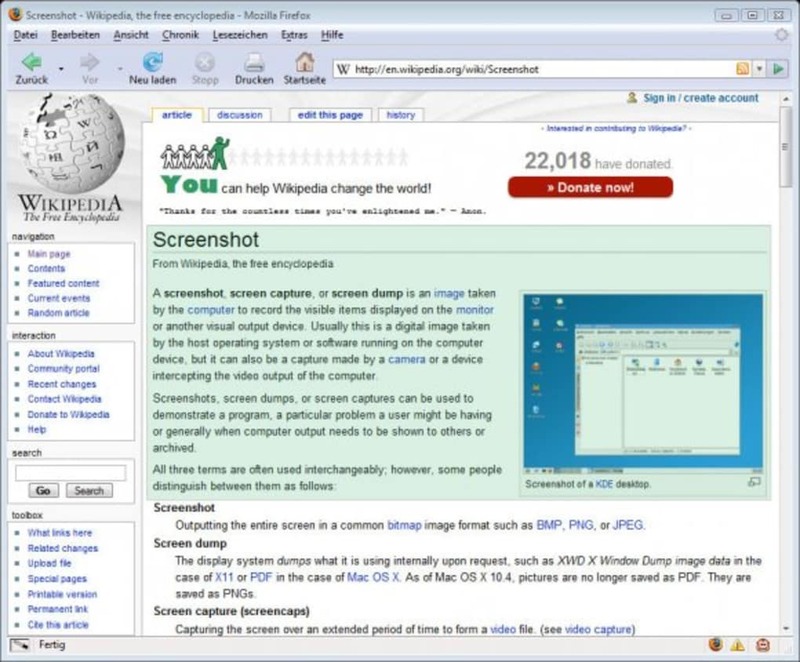 You can save a screenshot or a part of the screen to a file within a second. You can also apply text and shapes to the screenshot. 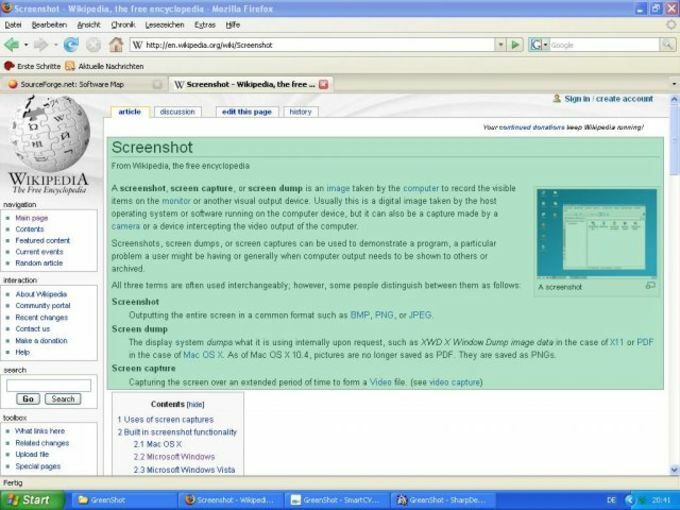 It also offers captures of a window, region or full screenshot. 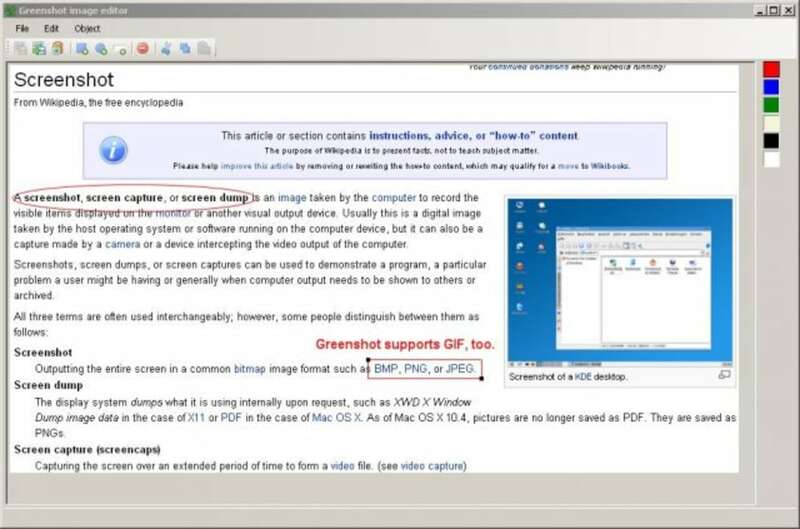 Greenshot supports several image formats. GreenShot Network invirnoment. A great tool for the Standalone PC with one user in it default install. Need to copy the %appdata% files to the Program files Folder for it to be really useful in a multi-users environment such as a School computer lab where we use it.